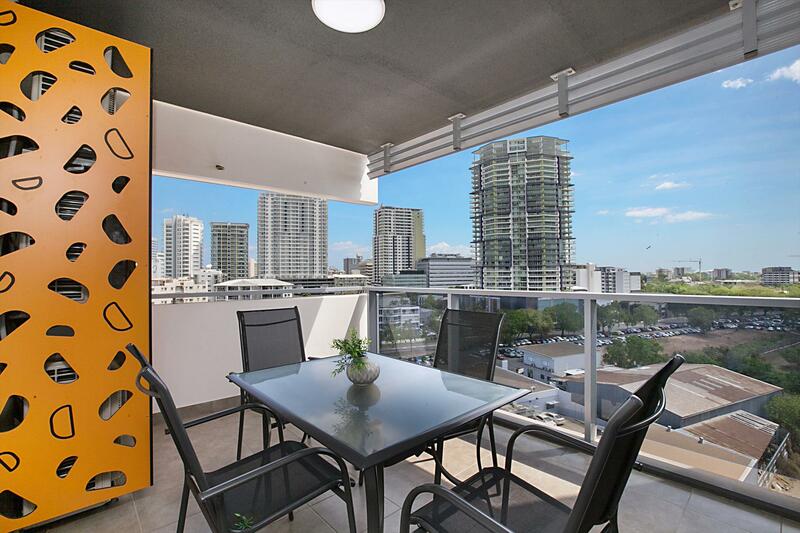 Our spacious, fully self-contained apartments all have water and/or city views along with large balconies. 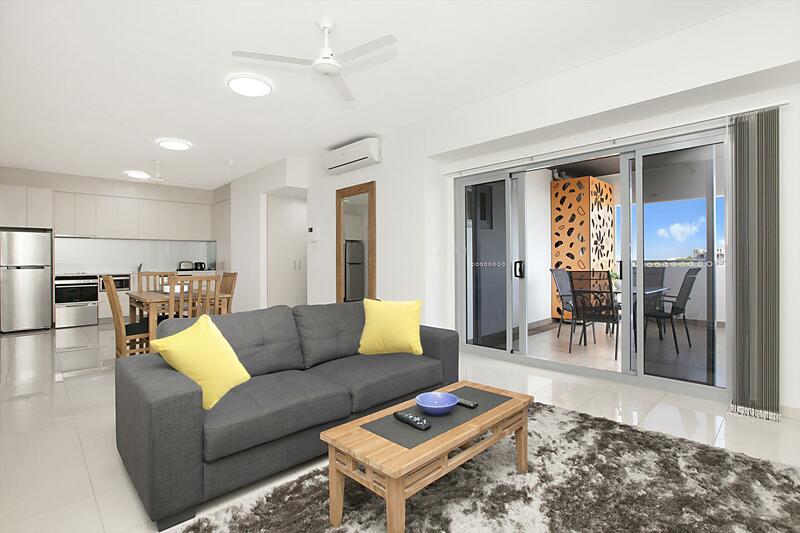 Guests will enjoy free high speed internet, free parking including spaces for high-set or long vehicles along with 34 Foxtel channels including sports and movies. 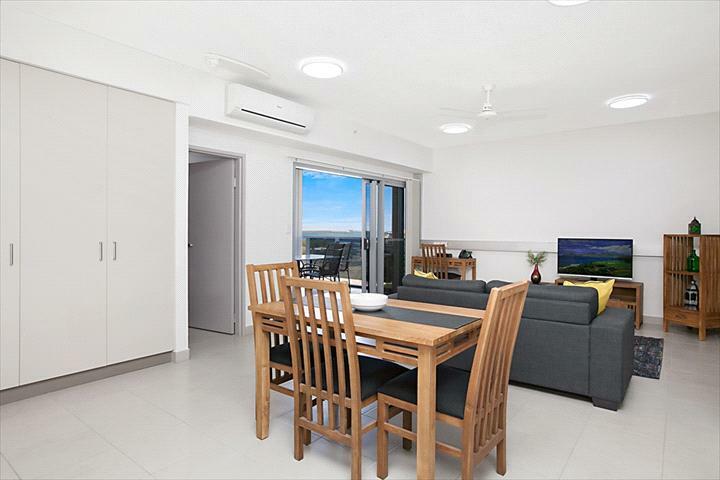 Only 550 meters from the main mall in the Darwin CBD our hotel is easily accessible to the CBD, Darwin Nightlife, waterfront, shops and restaurants. 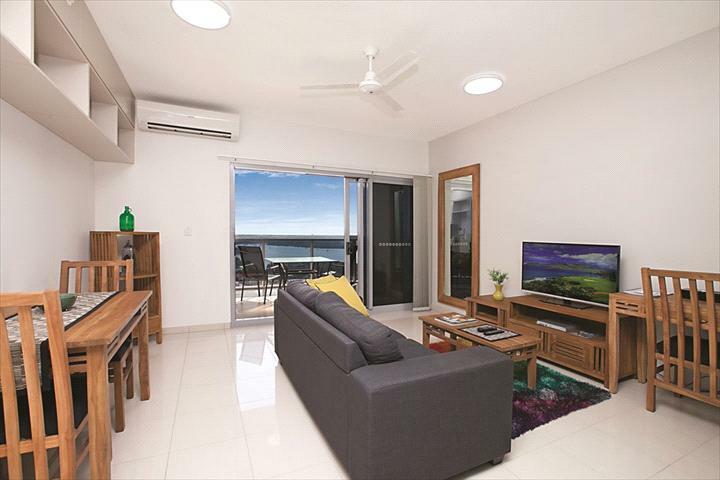 Facilities include onsite air-conditioned gym and a 28 meter saltwater pool. 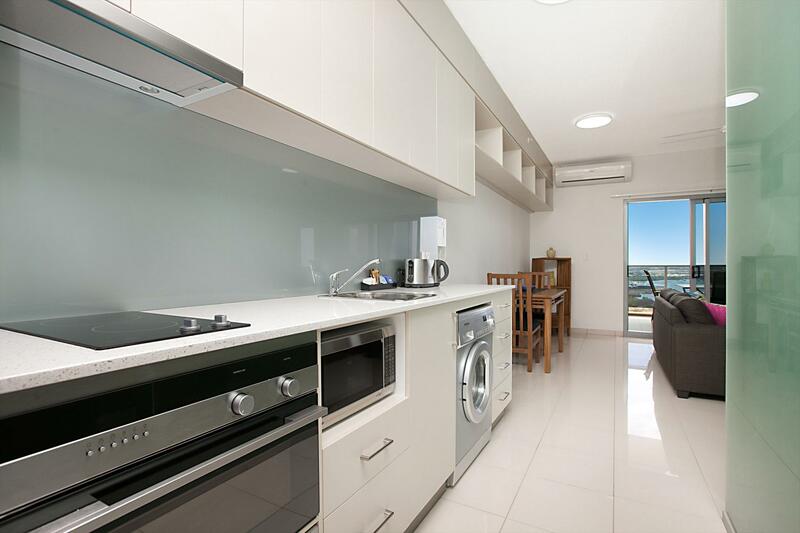 The accommodations are very new and contain full sized fridge, microwave, oven, dishwasher, cooktop, toaster, kettle and cooking and dining implements. 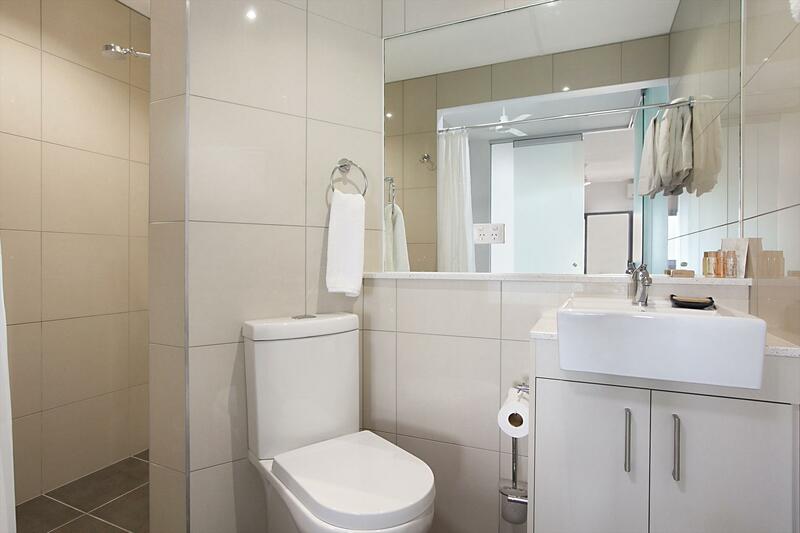 It is perfect for both short and extended stays. Our onsite licensed restaurant on level 3 provides an all-day menu from 7am to 9pm. Come down to the café and just chill out in the lounges overlooking the Harbour. The buffet breakfast is one of the best in Darwin. If you have an early start just request a breakfast pack. Child friendly rooms are available with courtyards and additional beds or cots on request. Special family rates are available. An exclusive conference room is available for special events or meetings. Ramada Suites Zen Quarter is Darwin’s newest and nicest accommodation option. 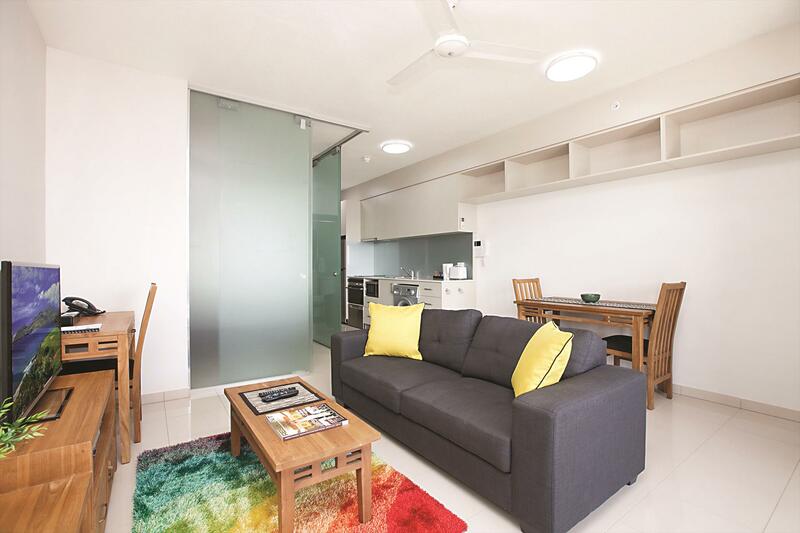 Enjoy the modern airy rooms – all fully furnished. Get home and enjoy the use of the gym or 28 metre stunning pool, or simply relax in the on-site café. 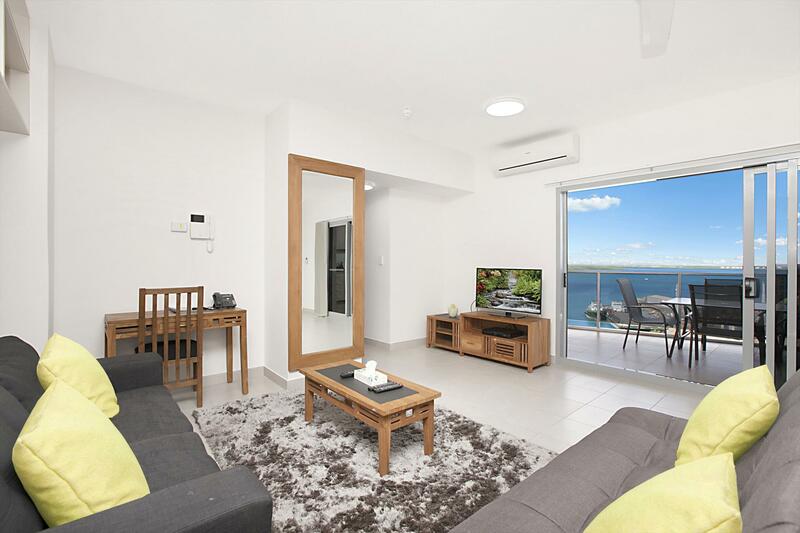 The property features fully secured car parking over three levels, onsite gym, café, unlimited free internet, amazing full length 28 metre pool and outside entertainment areas, unbeatable views, short walk to the waterfront and CBD and full foxtel available. 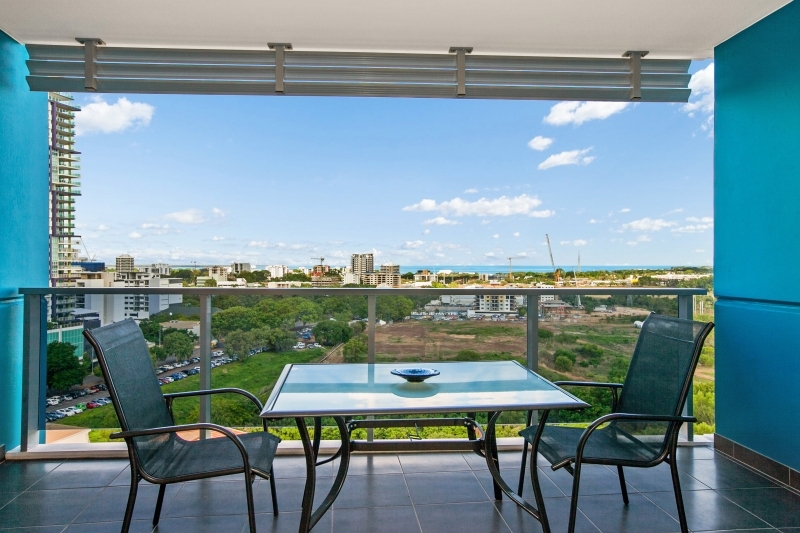 Our spacious, fully self-contained apartments all have water and/or city views along with large balconies. 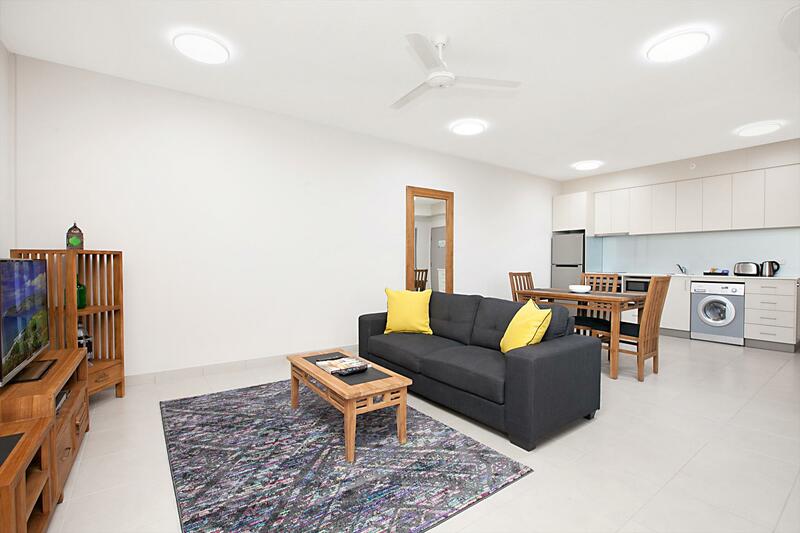 Guests will enjoy free high speed internet, free parking including spaces for high-set or long vehicles along with 34 Foxtel channels including sports and movies. Horizen Cafe - Our onsite licensed restaurant on level 3 provides an all-day menu from 7am to 9pm. Come down to the café and just chill out in the lounges overlooking the Harbour. The buffet breakfast is one of the best in Darwin. If you have an early start just request a breakfast pack.